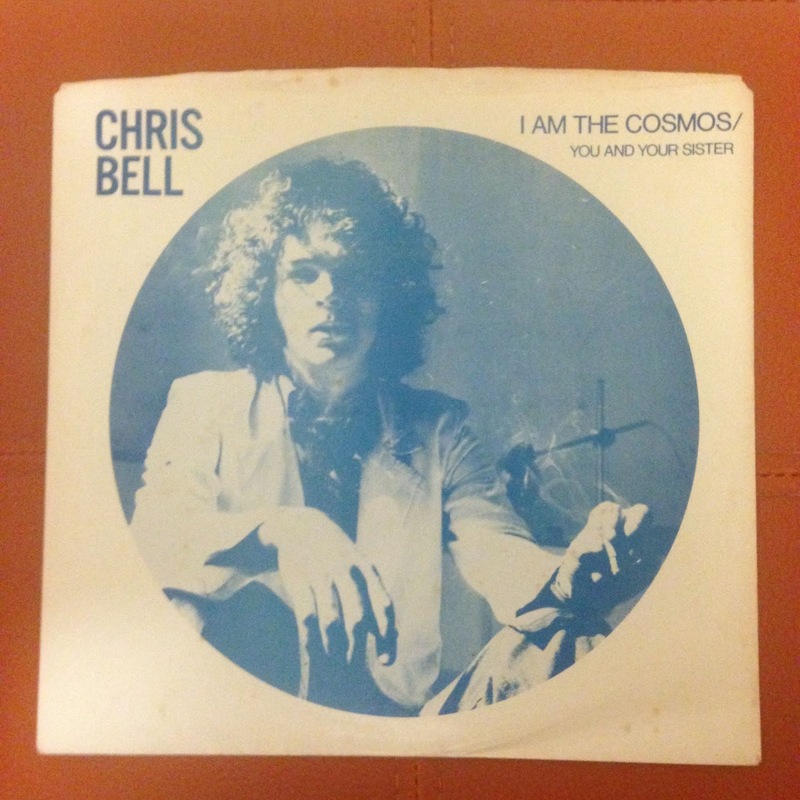 The tragic story of Chris Bell is well told elsewhere; through personal darkness came transcendent art. Thanks to the support of his brother David Bell, in 1974, the brothers took a trip to England and the European continent that was designed to both help lift Chris out of depression (and the hell of drug and alcohol abuse), and to record some of Chris’ new songs. 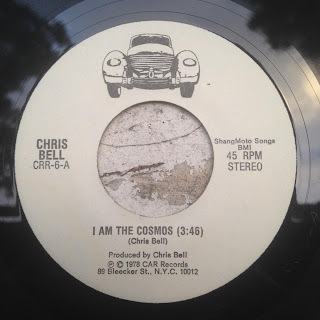 As a Beatles fanatic, it must have been a dream come true for Chris to work with (Beatles engineer) Geoff Emerick for his masterpiece ‘I Am The Cosmos’. 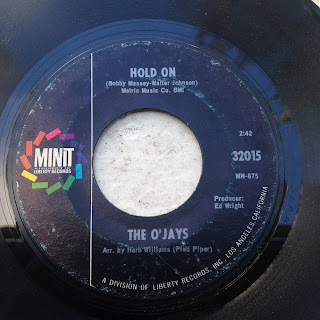 Geoff and Chris achieved a massive, hypnotic, swirling sound that captures the anguish and emotional torture of on/off love that are portrayed so honestly and directly in the lyrics. The flip side ‘You And Your Sister’ (with no Emerick involvement) found Bell reunited with fellow Big Star co-founder Alex Chilton. While Alex himself may have also been wrapped up in his own madness of (in his own words) ‘bad drugs’, he contributes a tender and downright angelic harmony with Chris here. Sadly, David Bell was not able to get a record deal for his brother, and his album wasn’t released until 1992. 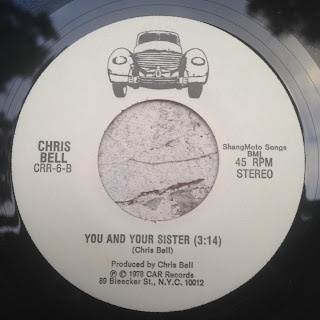 Thankfully, musician Chris Stamey (himself a massive Big Star fan, and Alex Chilton band member) released this single on his label in 1978, just a few short months before Chris’ death. 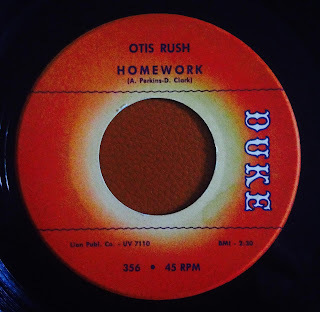 It's sad to hear of the passing of Otis Rush; he was truly one of the last of a very special breed. It's a tragedy that Otis was unable to play guitar for the past 15 years due to a stroke, as he was one of the greatest electric blues guitarists in history. Understated in its elegance, 'Sometimes I Wonder' is one of those tracks that epitomize the Chicago soul sound. 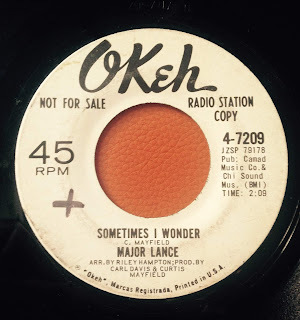 Major Lance may have been a bit lacking in vocal strength, but his delivery and charisma (and top notch material) push his best records into greatness. 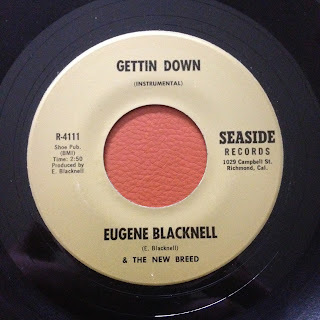 This may well be my favorite of his; a superb Curtis Mayfield composition, with Curtis and the Impressions providing glorious backing vocals, and a typically superb string-laden (but still kinda raw and very exciting sound) that Mayfield- (co-producer) Carl Davis and (arranger) Riley Hampton excelled at. 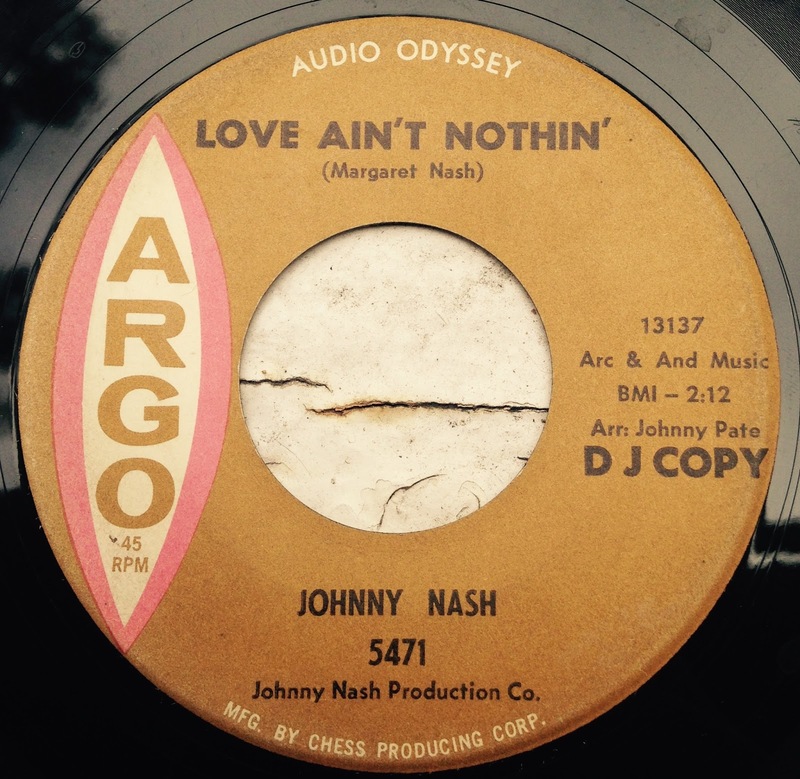 This amazing track was recorded during the in-between period of Johnny Nash's career, between his hitmaking eras. Johnny started out as a teen idol in the 50's, then became immersed in Jamaican music c1967 where he began not only recording on the island but also became involved with Bob Marley and the Wailers. 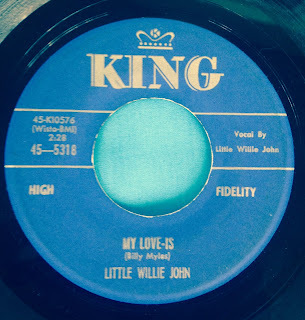 Even though this was recorded before Johnny's Jamaican period, it still shows a very strong bluebeat influence. 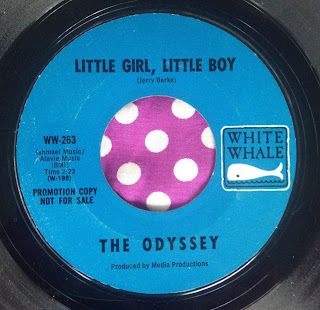 This is one of those songs that, in a just world, would have been a massive hit. 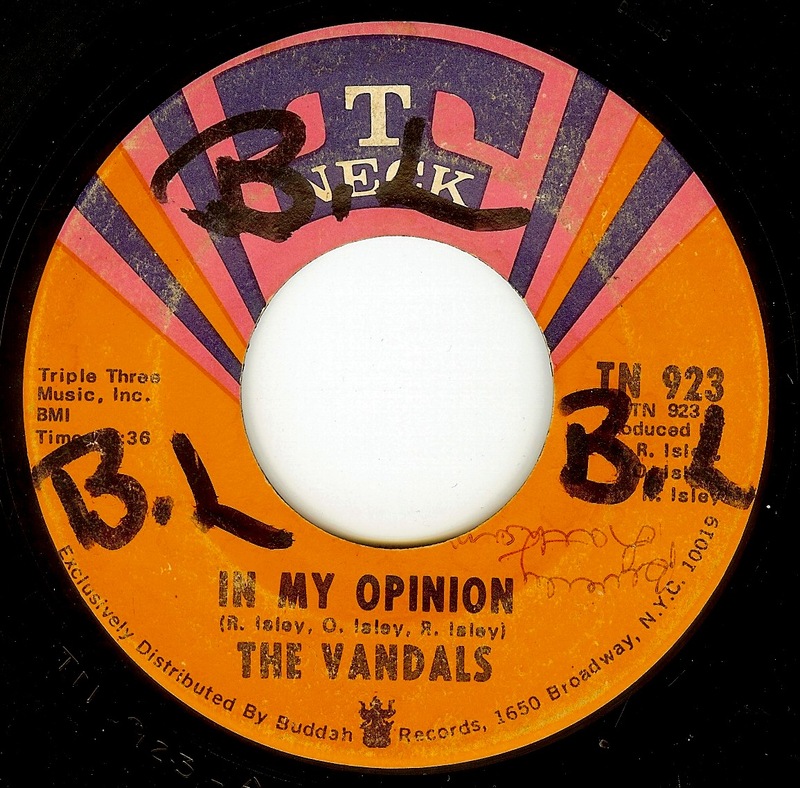 I would love to know who the backing musicians are on this track. It was arranged by the great Chicago fixture Johnny Pate. 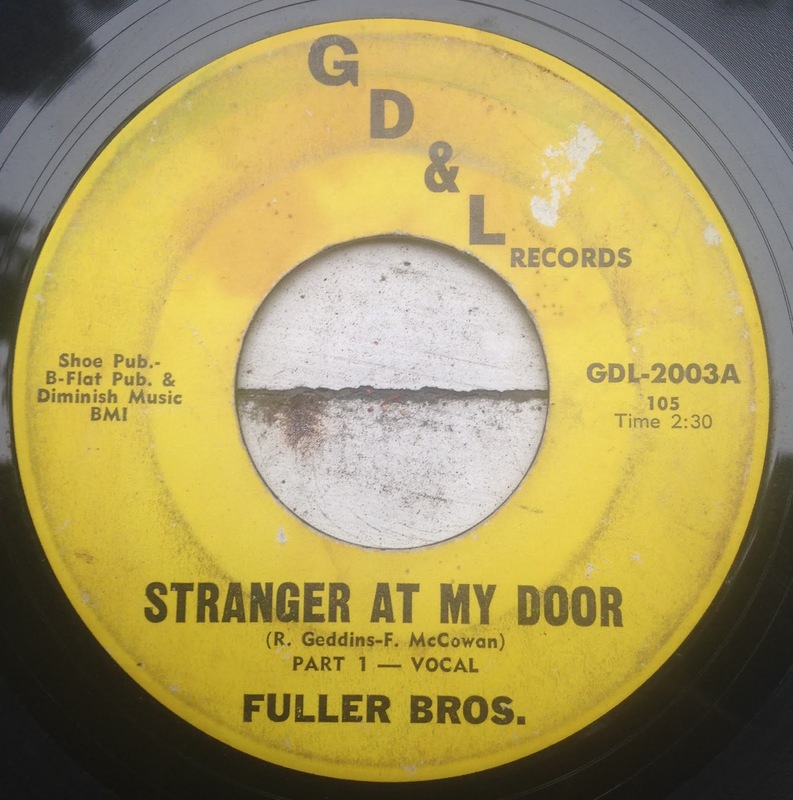 This Ohio based group (who later became one of the bastions of the Philly Soul scene) released many great 45's in the 60's, and this one is my favorite by far. 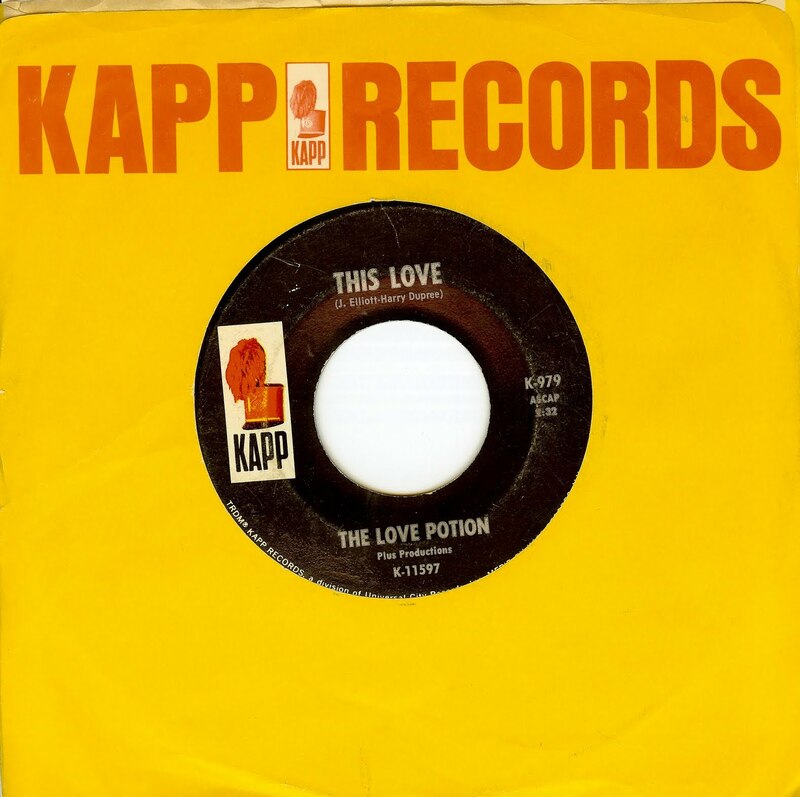 From the gorgeous vocals to the uplifting groove, this sound is the epitome of '60's soul, and in my opinion it simply does not get any better than this. 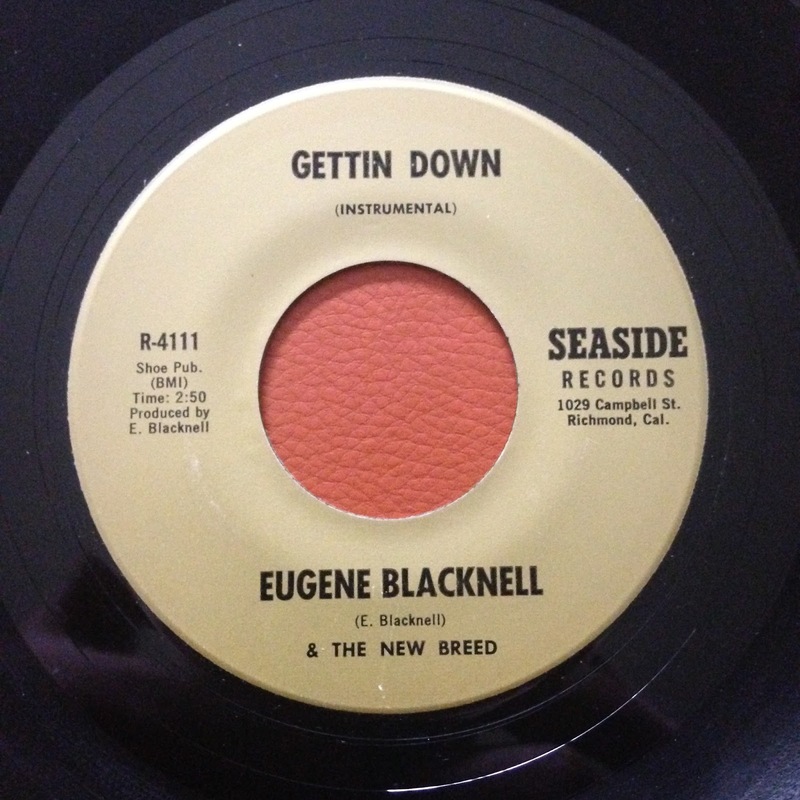 Oakland, CA's Eugene Blacknell released a handful of cool 45's over the years, but his guitar mastery and band leadership skills were sadly confined within the bay area. This record would be legendary if only for the intro drum break, and by the time the band comes in with a super funky bed of percussion, organ stabs, and bubbling bass, we're already in funky heaven. It all sets the stage for Eugene himself to come in with a fried out fuzz and wah-wah drenched guitar part that is simply unbelievable. One of the bands I play in is the LA based Wyldewood Green - this record is essentially the template of what we're cookin' up. This is a record that I had wanted to feature during the original run of this blog, but it wasn't until after I had ended things here that I managed to score a copy. The intimidating dude on the picture sleeve is Freddie 'Fingers' Lee, most known in the UK as a rockabilly revival artist throughout the 70's. However, on this record, there's absolutely no 'billy' but a downright overdose of 'rock'. Freddie spent the early 60s as both guitarist and pianist with UK legend Screaming Lord Sutch before striking out on his own around 1965. 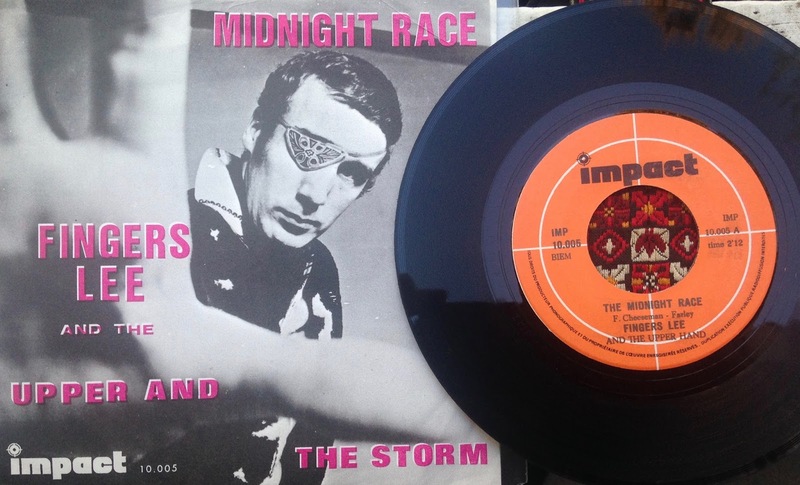 In just under two and a half minutes, Freddie and his killer band, The Upper Hand, lay out one of THEE most unhinged freakbeat tracks ever cut to wax. If the fuzzed out riff don't get ya, Freddie's wild vocal leaps most definitely WILL. Musically and lyrically this track is flat out incredible. While I drive a Honda Hybrid that's nowhere near as cool and certainly doesn't have 'high compression cylinder heads' that Freddie's driving here, I've found myself accidentally speeding over 90 MPH when this song comes on during my regular drives up and down California's I-5. 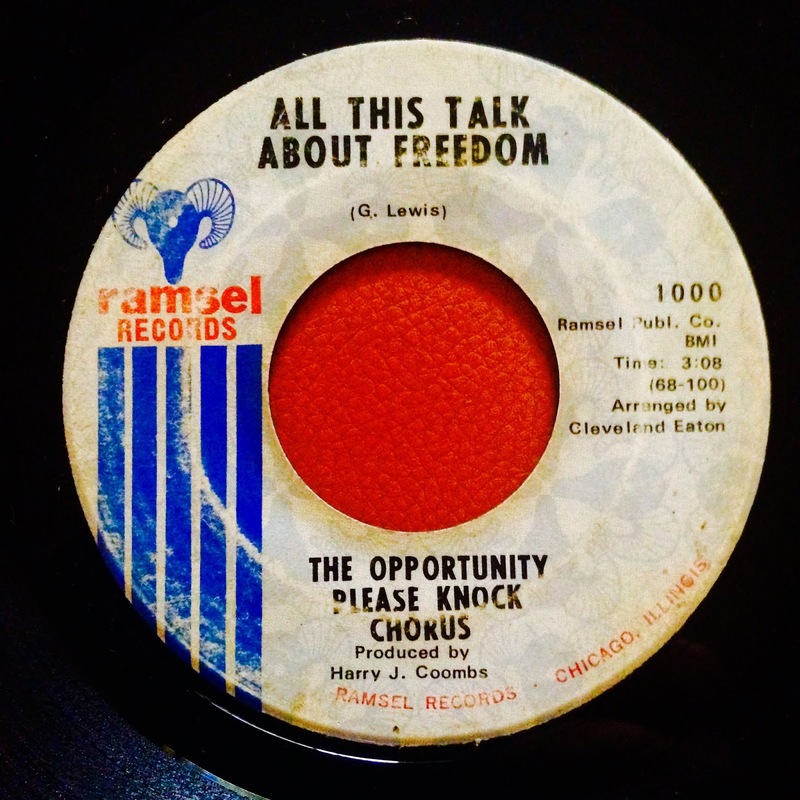 Freddie recorded only two 45's with the Upper Hand before he went completely in the rockabilly bag. His intensity didn't slow down; there's clips of him destroying pianos with axes and chainsaws on unhinged UK TV appearances. Of course the one recurring theme in music is that of love; for me, the two are one in the same! While I believe in practicing and sharing love every day of the year, I suppose that 2/14 is a fine day to share two soul tracks that epitomize those 'butterfly in the tummy' feelings of love.May all of our days be filled with pure, unfiltered, organic, and genuine love. 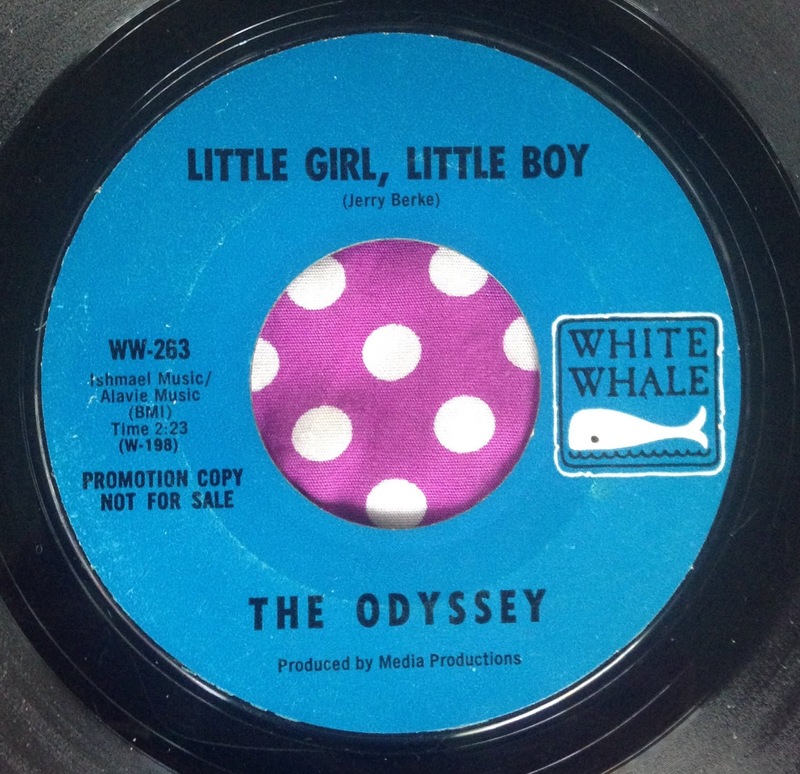 This beautiful song has a rather strange story, and one that is unique to this record (to my knowledge); namely, the same track was released three times, in a span of 4 years, by three separate labels, and under two different group names! 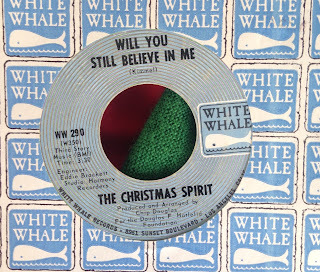 Originally released in 1965 by the Joytones, apparently the producers of the record felt strongly enough about the record to re-release it, hoping for the success that it deserved. Unfortunately, it did not hit the charts on any of its releases. I believe that it is a Detroit recording, but I may be wrong. 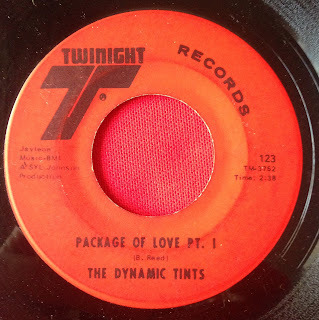 There's no good way to describe my love affair with the Chicago soul sound of the '60s and early '70s better than whats contained in the grooves. 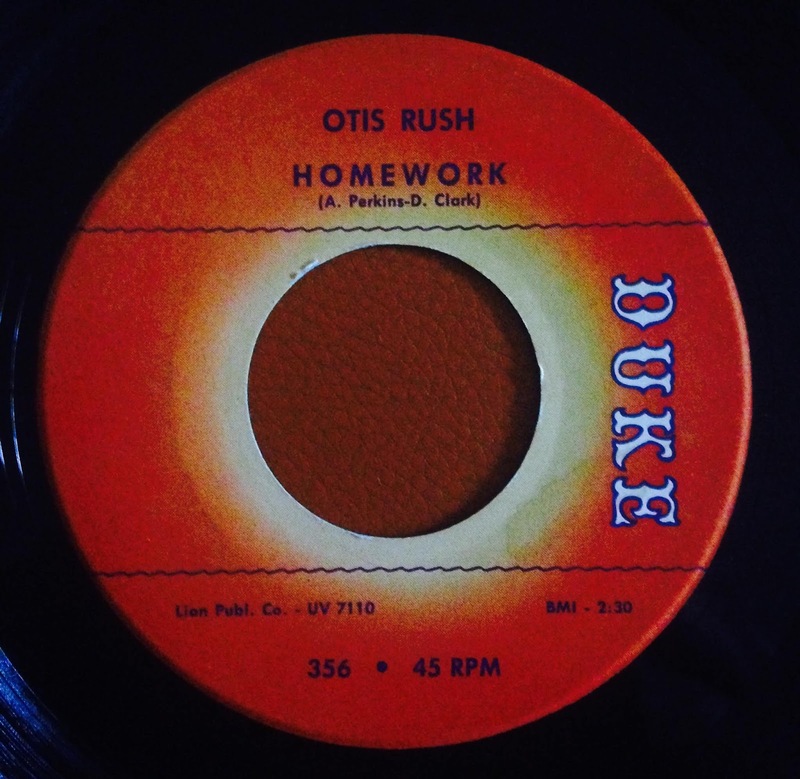 The propulsive motion and swing that's heard in so many Windy City cuts is not only an inspiration, but it's a downright life affirming sound, and it's heard on hundreds and hundreds of superb 45's. The Dynamic Tints were an extraordinary vocal group that was discovered by musician/ producer/ and Twinight Records A&R talent scout Syl Johnson. 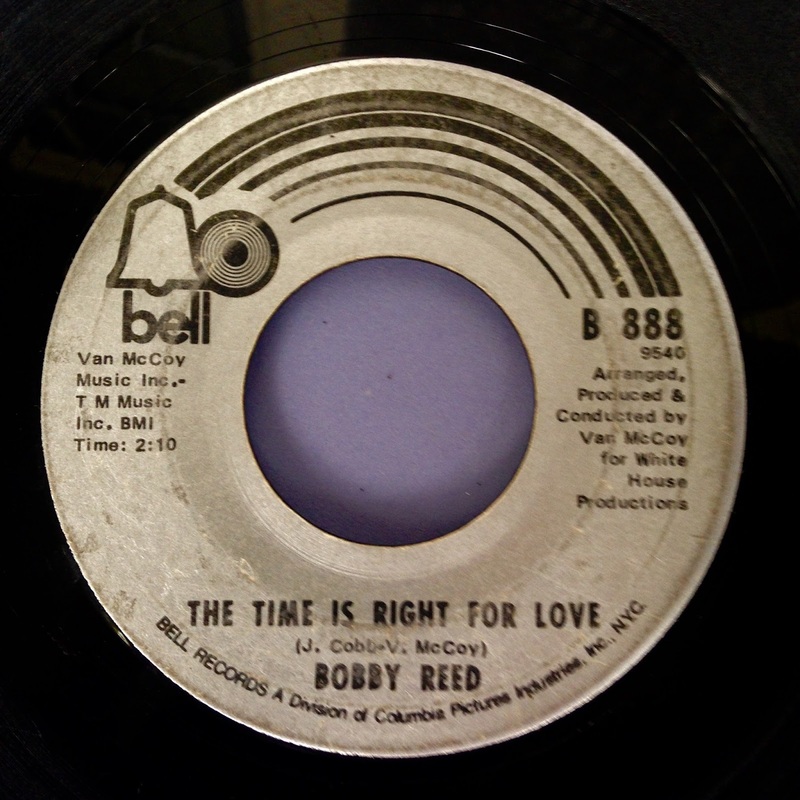 While the group penned several of their own sides, this one was written by the incredible session bass player Bernard Reed, whose bubbling style is heard on hundreds of records - some hits (Tyrone Davis - 'Turn Back The Hands Of Time'), but far too many such as this that should have been hits. 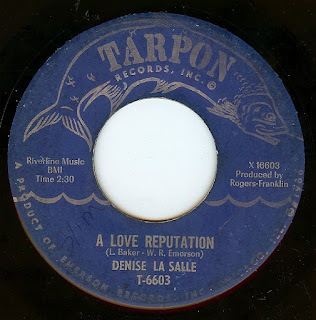 I was sad to see that Denise La Salle has passed away; she spent her entire life in music, and was a staple on the blues festival scene until the end. 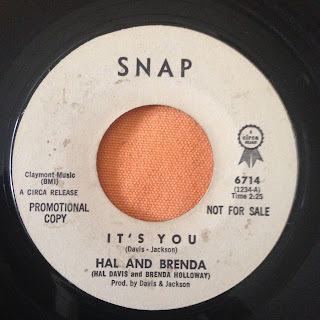 Her debut 45 is one of THE greatest Chicago soul singles, and made such a splash on the Chicago scene that Chess Records licensed it for national release. 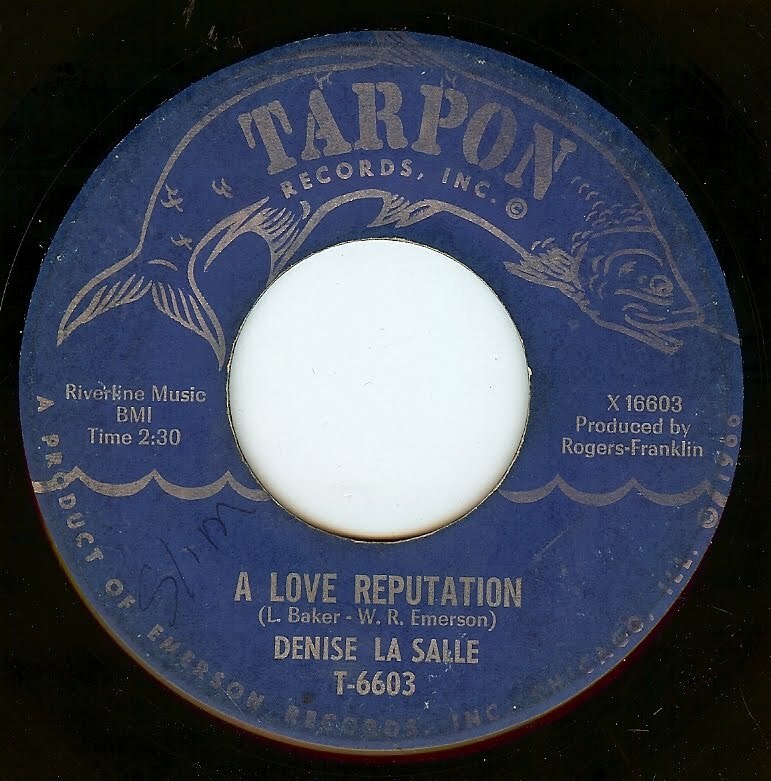 Born in Mississippi and relocated to Chicago, this is the debut 45 from Denise who later went on to score big with the excellent 1971 track 'Trapped By A Thing Called Love". 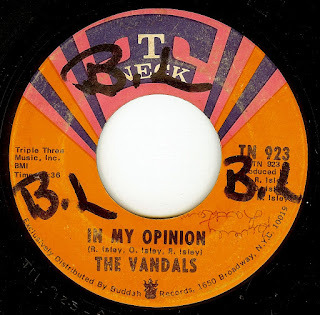 This number, however, is one of those tracks that epitomizes the mid 60's Chicago sound and in my opinion is one of the greatest debut singles ever made. The exact same backing track was used for Nolan Chance's 'Just Like The Weather'; IMO, though, THIS is the version. 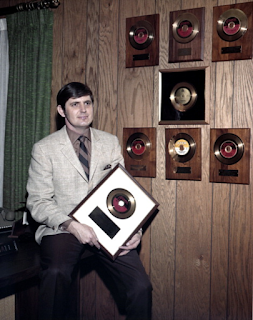 Rick Hall was one of the most important 'behind the scenes' folks in the history of soul music. His Fame Studios (and record label), based in the sticks of Muscle Shoals, AL, had a SOUND. During the most intense years of the struggle for racial equality and in the middle of some of the nastiest racial segregation, Hall and the 'Fame Gang' encouraged integration and sent it straight out to wax. Here was a studio in rural Alabama, run by a white man, where (mostly) white musicians laid down some incredibly soulful sounds for some of the greatest black singers of all time. 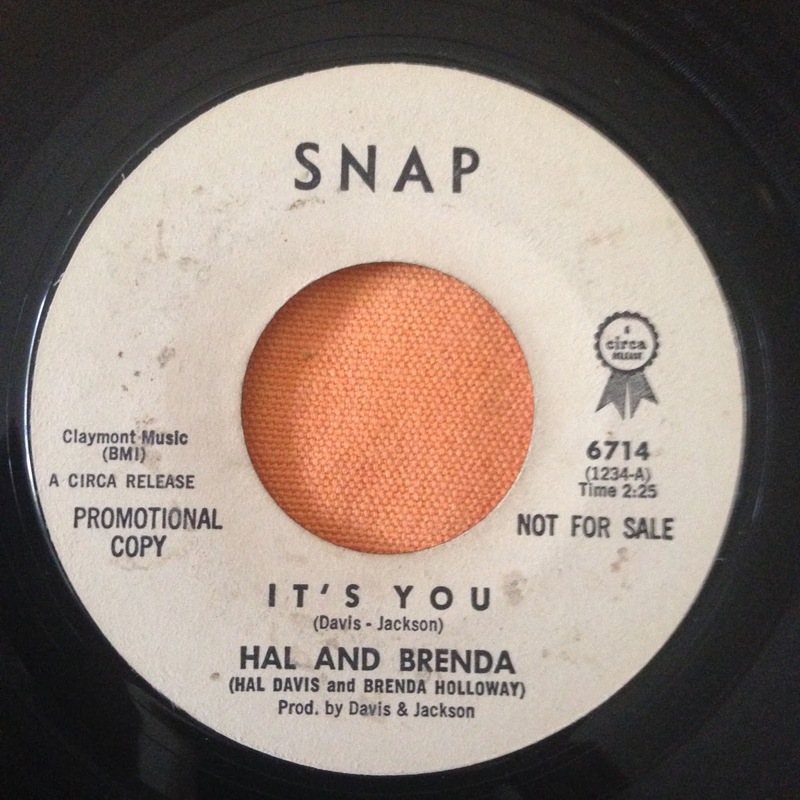 A few years after the first studio opened, Hall scored his first hit as a producer with Arthur Alexander's beautiful country fried soul track 'You Better Move On'. 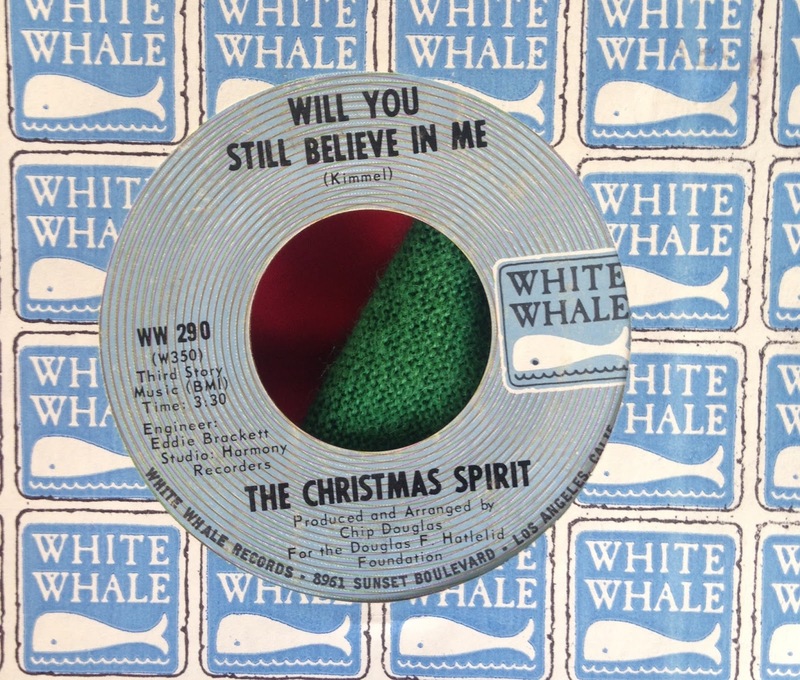 The success of this single allowed for a new studio to be built, and the first session yielded the incredible 'Steal Away' by Jimmy Hughes (who sang and wrote this track). 'Steal Away' is easily in my 50 favorite songs of all time if I were to compile such a list; in my opinion, it is the epitome of the deep soul sound. 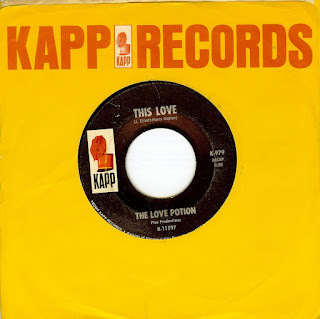 Fame found their biggest successes when Atlantic Records sent Wilson Pickett south to capture some of the Muscle Shoals sound, and Wilson was initially skeptical upon arrival. However, any cynicism was brushed aside when the Fame Gang cut 'Land Of A Thousand Dances' with the Wicked Pickett. 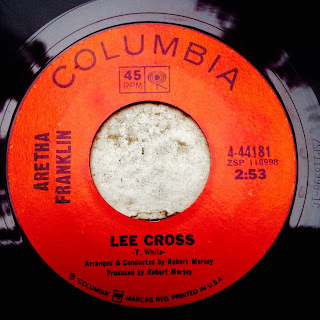 Further triumphs were achieved in the studio with Aretha Franklin, and Etta James (both of whom, arguably, cut their greatest records at Fame). While Rick Hall's greatest strength was as a technical whiz and a friendly presence who made his artists comfortable in the studio (evidenced by the other worldly performances), he also had a hand in some songwriting. Joined up with Dan Penn and the mysterious Oscar Frank, this trio penned the classic breakup cut, 'You Left The Water Running'. While it wasn't cut at Fame, Barbara Lynn's swinging version is a true gem. Thank you, Rick Hall. You were an American treasure.